I guess Michael Bay and Megan Fox are back on sleeping speaking terms! From beneath the Sewers to boldly go where noTurtle has gone before! When the idea of a TMNT reboot was rumored fans were pumped about the prospect of seeing their favorite boys in green portrayed in a very edgy Batman Begins like reboot closer to the origins of the original comic written and illustrated by Kevin Eastman and Peter Laird. Then when it became known that Micheal Bay's production company Platinum Dunes would over see the film for Paramount it seemed to be all down the sewer drain from there. At this point two drafts of the script have leaked. One where Casey Jones is the main protagonist, and the turtles are basically glorified side characters, like the Transformers in those films as a Casey and April love story ensues. As well as another script where the turtles hailed from a part of Dimension X, and the famous four where simply a few of many turtles that made up an entire alien turtle race. The alien version of the script also reportedly included Krang, Bebop, Rocksteady, and the character of Shredder remade into a Dimension X Colonel known as Schrader. That script for more than a few reasons caused some out of this world backlash from the TMNT fan-base. I guess she does pull off yellow pretty well! The recent casting news of Megan Fox is a microcosm of what is wrong with this reboot in the first place. The people over seeing the production of these films mainly Michael Bay, have absolutely no love or understanding for these characters, at least that's how it seems to most TMNT fans. Unlike the Avengers and Star Wars franchises who have put people in charge who absolutely love those properties, Joss Whedon and J.J Abrams respectively, Paramount has decided to go a different route. The route of putting people in charge who it seems just want to make a quick buck off the recent come back of TMNT popularity, and more importantly people who don't understand the heart of the TMNT characters or universe. Michael Bay has a tendency to hire directors a lot like himself when he produces a film. This seems to be the case with Director Jonathon Liebesman who Bay chose to helm the TMNT reboot. Liebesman filmography includes: Texas Chainsaw Massacre the beginning, Battle LA, and Wrath of the Titans, all very Bayesque movies. 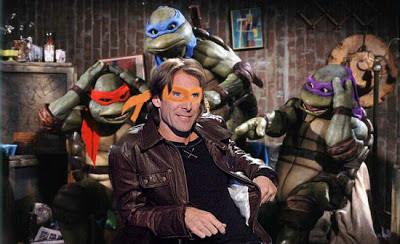 He may be in the family portrait, but does Michael Bay really understand TMNT's concept of family? What makes the TMNT franchise work so well is character interaction and development. It's the story of a family, as they grow together to understand the world that they live in, and discover and eventually battle the evil within that world. This doesn't mean the turtles aren't shell kickers, but that isn't all that makes TMNT so great. That shell kicking just doesn't mean as much when it doesn't have the foundation of the heart that fuels the TMNT family. 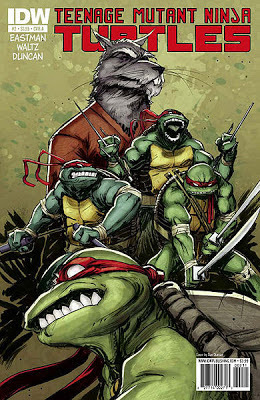 The current IDW TMNT comic would be the perfect framework for a new TMNT film! Sadly it doesn't look like Michael Bay and Paramount are going in that direction. 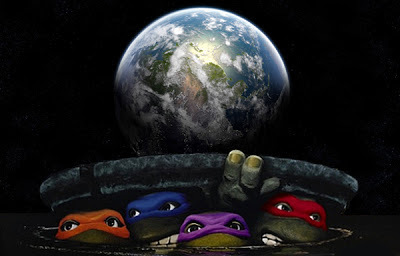 At a time where the TMNT franchise is thriving the most it has since the early 90's, I have to question the direction Paramount is going with this film franchise.  Over the past couple of years IDW has given us a brand new confirmed Epic comic that blends every part of turtles continuity, while at the same time providing a fresh take on the series. We have also have a brand new Nickelodeon cartoon that manages to pay homage to the original cartoon series and comic, while giving all new twists to classic TMNT characters with the help of beautiful animation. Combine that with the work Playmates has done with the TMNT classic line and the new Nick figures, this franchise while not at the height is was in the late 80's and early 90's couldn't be at a better place. I just hope Bay and company don't stop the turtle revival dead in it's Turtle tracks come May 16, 2014!